Virtual Private Network (VPN) has been discussed superficially before. In this Post we have shifted the gear to go in to details on Virtual Private Network. Virtual Private Network is an interface in a network and has two different meanings. The conventional Virtual Private Network is used to bind users in a network to another network. This kind of Virtual Private Network users is participant of the other network – with direct access, as would be the network connection is not connected with the original network but directly connected to another network. The resulting benefits of a Virtual Private Network can be added depending on the type of Virtual Private Network protocol by an additional encryption, which allows a tap-and tamper-proof communication between VPN partners. SSL encrypted Virtual Private Network (SSL-VPN) supports a mode in the conventional sense of the VPNs. In addition, since 2002, solutions with the term SSL Virtual Private Network are connected to create a remote access to corporate applications and shared resources without having to tie the SSL Virtual Private Network?partner for it to the corporate network. Instead, these solutions resides on a proxy mechanism (thin client SSL VPN), or the coveted enterprise application itself a Web application which can be accessed via a secure connection, but does not get direct access to the corporate network. Originally any Virtual Private Network is within a public telephone network. With such a subnet is a separate network, which is embedded in the overlying switched network. Such kind of Virtual Private Network are networks including voice communications, X.25, Frame Relay or ISDN, whichbased on the same physical infrastructure, the public switched network, can be operated in parallel. One can say that Virtual Private Network is an independent network encapsulated in another network. The network, to which the Virtual Private Network binds its participants, is hereinafter referred to as mapped network. The mapped network can be in a physical net in which external devices using Virtual Private Network through a special VPN gateway are included. The gateway can however also point to a purely virtual network. There is also the possibility of two mutually connect incompatible networks, adjacent to the same neighboring network which also can be the intermediate neighboring grid. Virtual Private Network forms a logical subnet, which embeds itself in the neighboring network and takes advantage of the public addressing mechanisms for data purposes but operates its own transport network packets, and so detached from the rest of the network. Virtual Private Network permits communication between the VPN partner therein with the associated network is based on a tunneling technique is individually configurable, customized and complete in itself, hence it is called private. For communication with a network of associated partners on its Virtual Private Network, VPN Gateway packed the original network packets into the VPN protocol. Therefore, we speak to VPN from the tunnel. 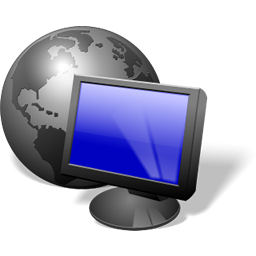 Virtual Private Network partner runs a VPN client software, where the nature of the associated virtual network replicates. Compared to other types of tunnels for a TCP / IP network, the Virtual Private Network tunnel is characterized by the fact that it is independent of higher layer protocols ( HTTP , FTP , etc.). In this way it is possible, the data traffic between two network components virtually transported through another network in an unlimited way, so can even entire networks on a neighboring network are connected across each other. Depending on the Virtual Private Network protocol used, it allows network packet encryption. When a computer establishes a Virtual Private Network connection, the operation is similar to the repositioning of its network cable from its original network to the newly mapped network, with all effects such as changed IP addresses and differences in routing . Tagged With tools , vpn icon , Will tying one independent network to another independent network via a VPN cnnection breach the networks\ security? It provides extreme protection and control with unmatched safeguards for taking good caree of business-critical info. weight, building muscle, improving athletic performance, and boosting energy. termed as Garcinia Cambogia. It is similar to a small pumpkin located in India, Asia, West Africa, and Southern Indonesia. Cite this article as: Abhishek Ghosh, "Virtual Private Network (VPN) : Let us go into Details," in The Customize Windows, December 19, 2011, April 19, 2019, https://thecustomizewindows.com/2011/12/virtual-private-network-vpn-let-us-go-into-details/.